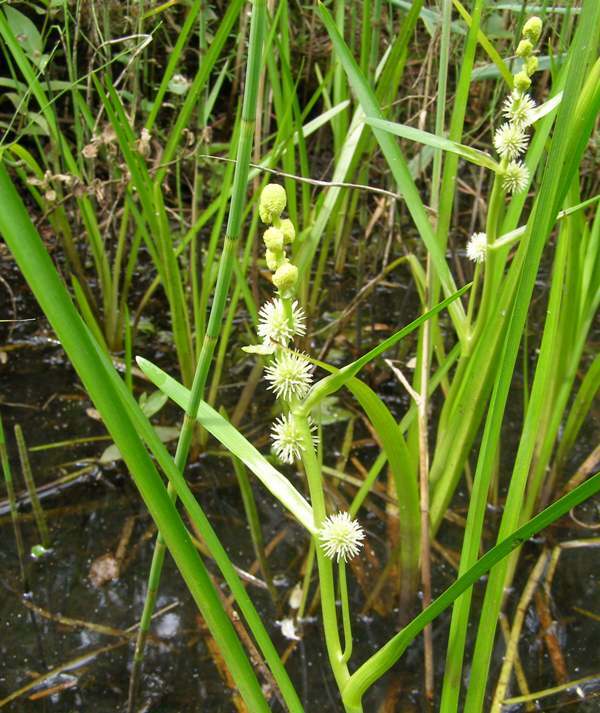 Unbranched Bur-reed can reach a height of a metre or so above the water surface. 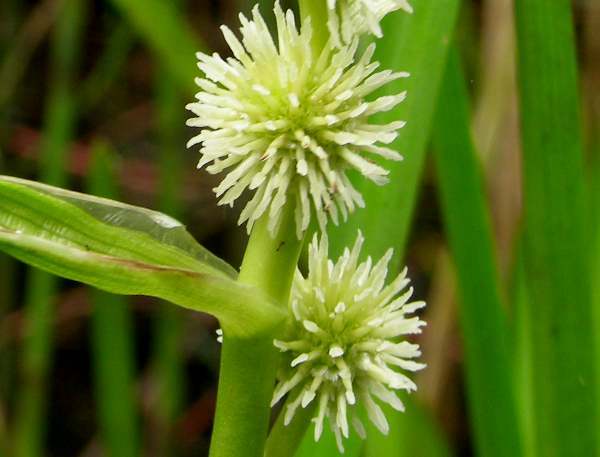 The flower stalk is unbranched (unlike its relative Branched Bur-reed in which branched stems bear the flowers). 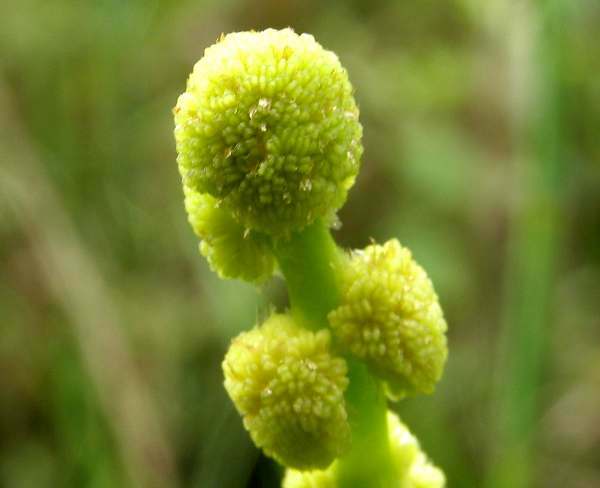 Each unbranched stem bears four or five female flower clusters, some of which may have stalks, below an array of smaller male flower clusters. This water-plant can be found in southern and central Britain and in someparts of Ireland. Sparganium emersum is native to temperate regions of Europe, Asia and North America. The pictures shown on this page were taken at Kenfig National Nature Reserve in South Wales during July.